Home > Literally a ton of fun! Literally a ton of fun! Giraffe don’t really need any introduction but here are a few brief reminders: they can stand up to18 feet tall, weigh about a ton, live around 25 years and are unique in they are born with their horns. All other mammals grow them after birth. They have a prehensile tongue that is purple and 18 inches long. There are many other fascinating facts about them which are worth looking up but would take up too much space here. 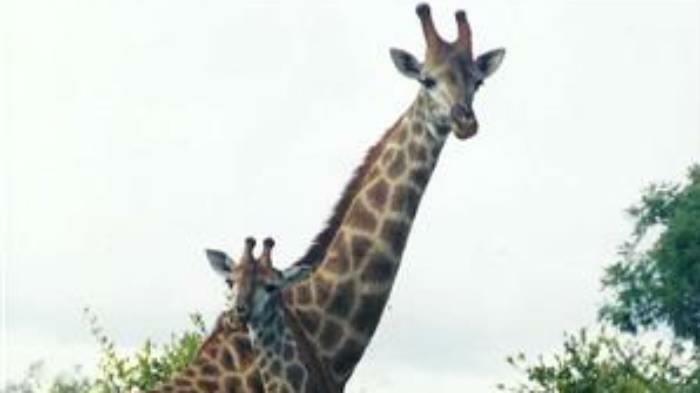 When my wife and I bought a 250 acre game farm in South Africa, it had many animals on it but lacked, what is to us, the most iconic of African animals: giraffe. Fortunately for us, a friend of a friend owned a huge game farm and held annual auctions where he sold many types of animal, including giraffe. Bidding on a pair of giraffe is a nerve-racking experience, but I was successful. 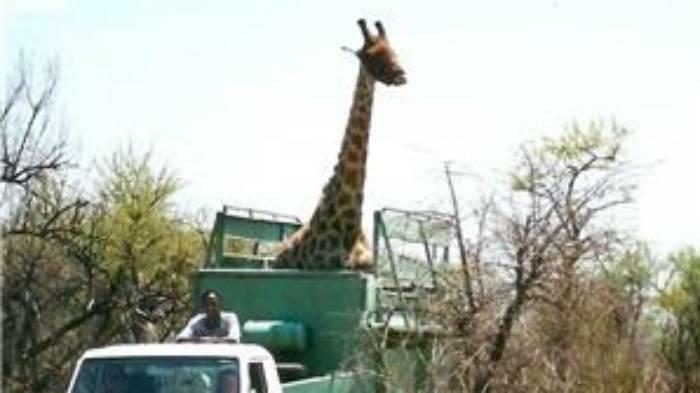 After two weeks, with the paperwork and permits sorted out, a truck arrived at our farm and out leapt our two giraffe. Fantastic, we thought. Sadly, the young male had developed blood poisoning before delivery and died after three weeks. The seller kindly offered to replace him and allowed me to join the capture of the replacement male. What an extraordinary experience! At one point a vet hung from a helicopter to dart the giraffe with a tranquilizer. That was followed by a mad rush of vehicles to where the giraffe dropped. We needed a tractor, what looked like a modified horse box and an army of workers to chop down trees and bushes to get to the fallen animal. Giraffe cannot remain sedated for long because the head must be elevated to avoid blood pressure problems. The male’s eyes and ears were covered to calm him and he was quickly revived. With a path between him and the horse box cleared, several strong ropes were looped around his rump and he was guided forward, blindfolded. Mostly the operation went well but a sudden loud noise startled him and he started to run off with fifteen men hanging onto the ropes, powerless to stop him. Eventually he was coaxed into the horse box and we drove to my farm, a journey of about 10 miles, all but three of which were on dirt roads. 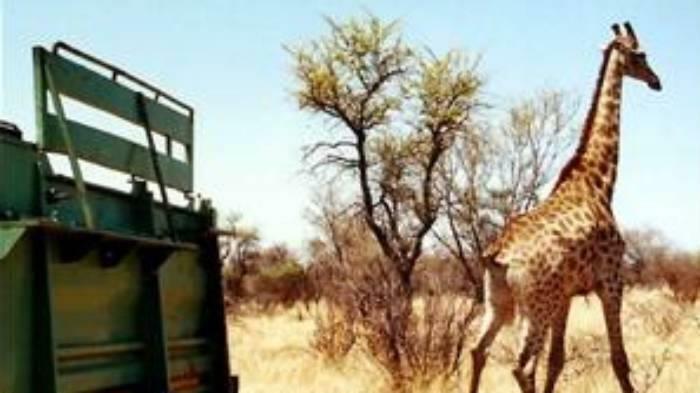 I followed in my car, entertained by the faces of drivers in cars coming the other way when they saw the giraffe’s head poking out the top of the horse box. Even in the arid winter months when no rain would fall for six months, we had enough trees to feed the giraffe. To ensure they had ample food I erected a trough on poles, about six feet from the ground. When I filled it with lucerne, the giraffe would come and enjoy the change in diet. The trough was set up next to our garden. In the evenings we would sit outside, enjoying a drink as the sun set, and watch the giraffe eating the lucerne. A truly magical experience.